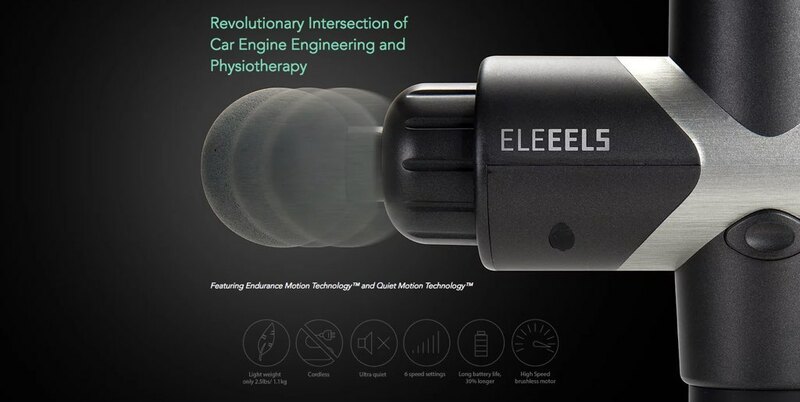 Intersecting Car Engineering and Physiotherapy, this revolutionary device employs high-torque and brushless motor to deliver maximum 3200 strokes per minute, giving numerous shock waves deep into the muscles. With 6 speed settings, the massage gun offers optimal pressure to achieve therapeutic benefits. 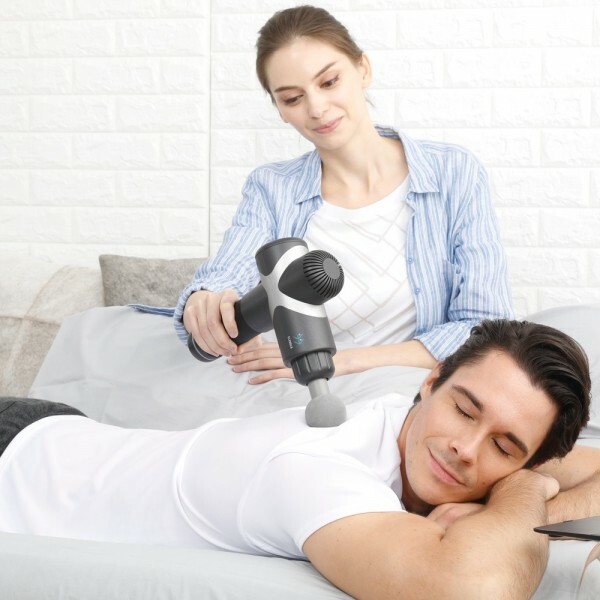 Powered by Li-ion cells that gives 3 to 15 hours of operation in a single charge, the motor movement of the massage gun is fine-tuned to give it 30% longer operation time than the normal mechanism. Endurance Motion Technology™ and balancing motion technology offer you an ultra quiet experience and longer operating power. 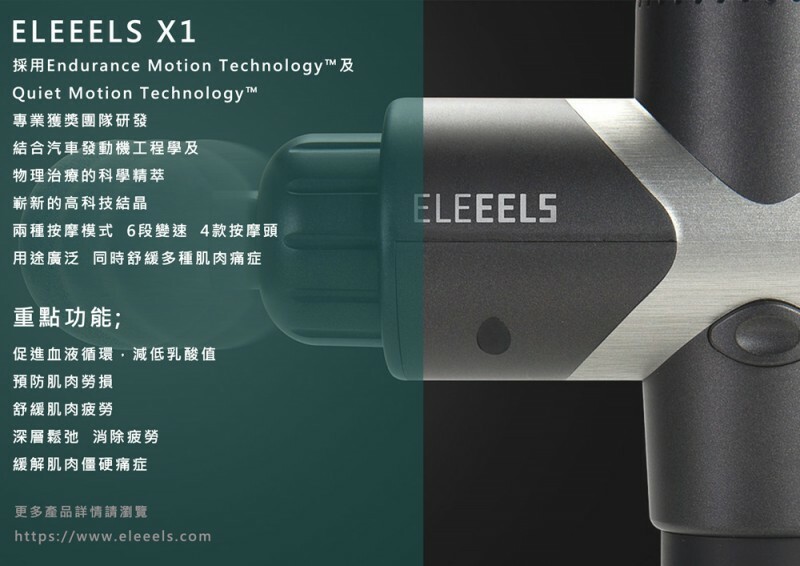 It is cordless, portable, durable and easy to use. 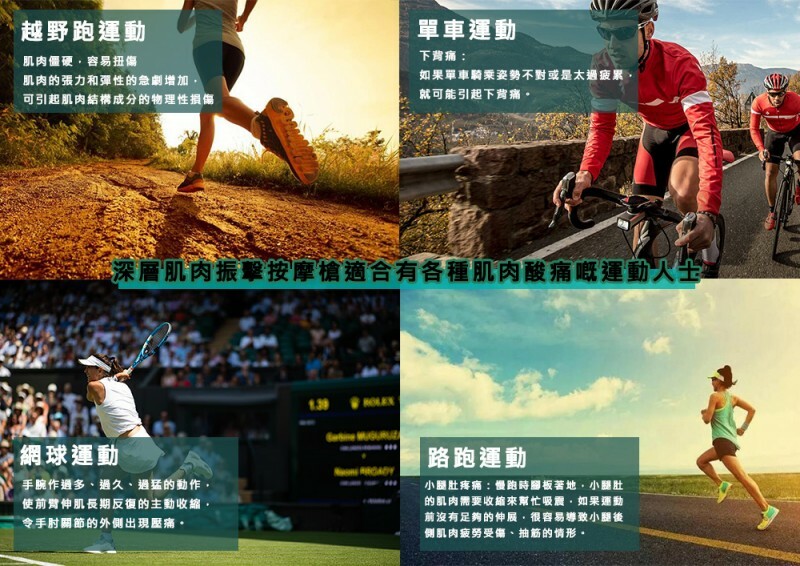 Adapting unprecedented technology, ELEEELS therapeutic massage gun is a vibration device that helps improve blood circulation, relieve muscle stiffness and soreness, prevent muscle damage and reduce lactic acid level. 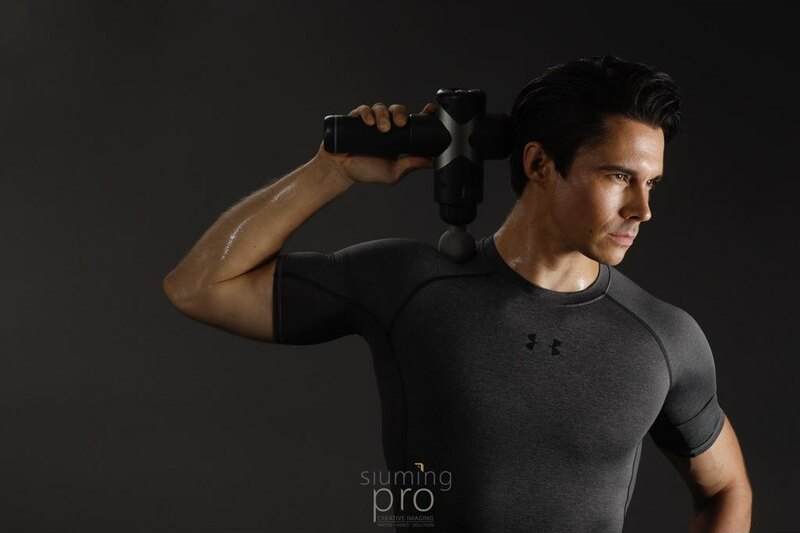 Recent studies have shown that percussive massage provided by a massage gun can cause muscle tissue to contract 30 times more powerfully than normal voluntary contractions. 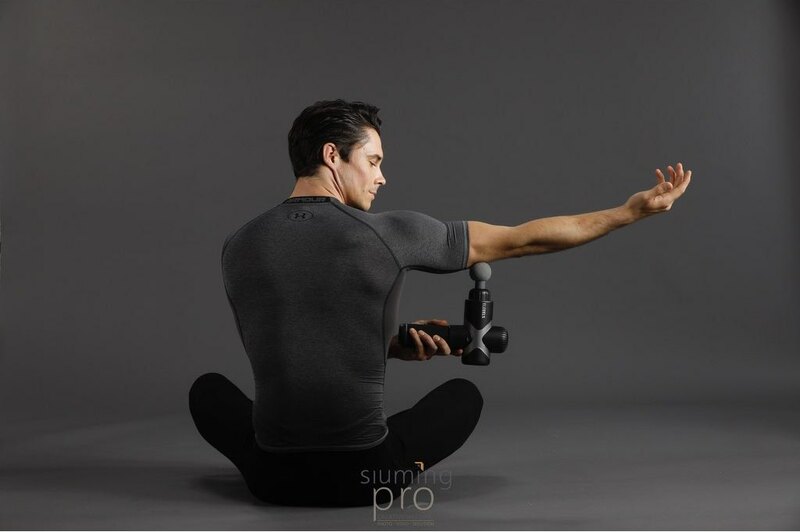 Interestingly, like yoga and exercise, this action results in muscular and fascial lengthening and strengthening, leading to improved muscle strength and enhanced muscle recovery. This magical combination results in relieving muscular tightness and reducing the physical stress placed on bones and joints. 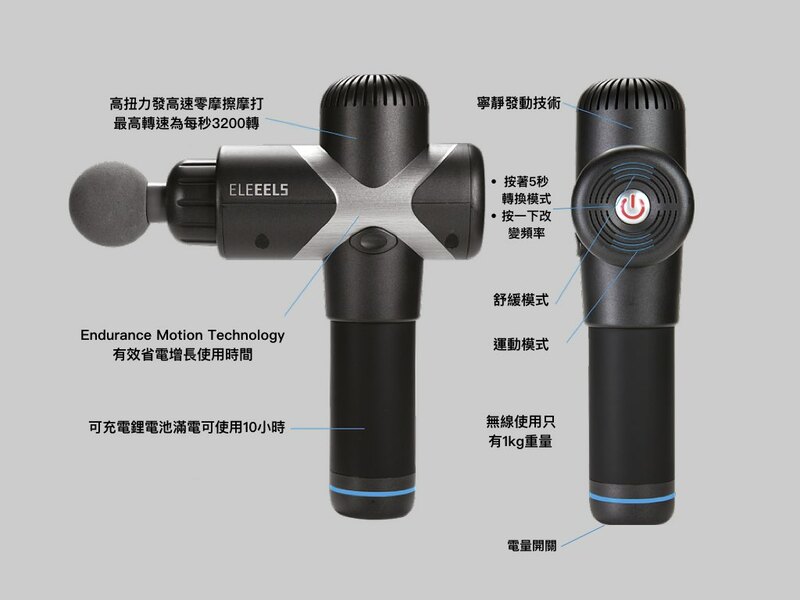 The ELEEELS massage gun could be used before, during and after training. 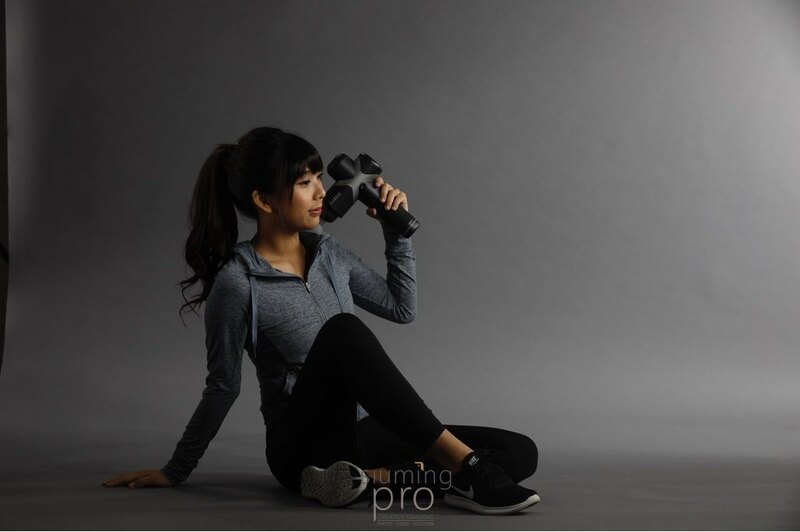 It helps achieve better sports performance by stimulating blood and lymph circulation, warming up muscle tissues and improving elasticity. Use after training or race helps bring more oxygen and nutrients into muscle and fascial. 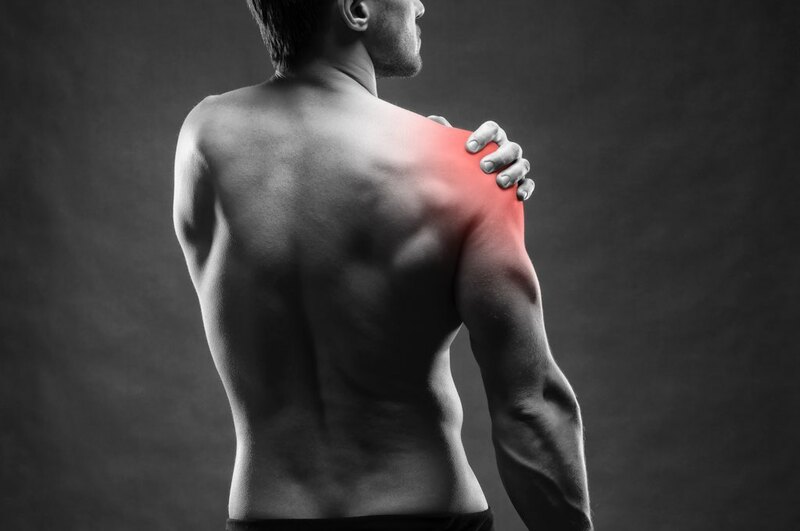 This leads to reduce muscle fatigue, soreness, breaks up muscle spasms and alleviates muscle pain. The vibration massage gun works alike percussive massage which deliver powerful healing impact but in an affordable and efficient manner. 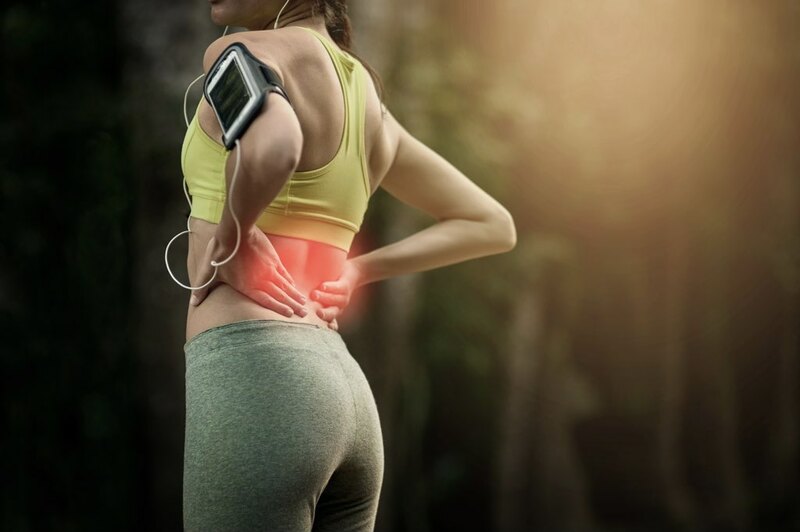 The Comfort Mode helps alleviate muscle soreness and stiffness on neck, back and legs induced by prolonged use of digital devices, sitting or long walk in high heels. It can be used daily and engulf you in comforting sensation after a long, hard day.